My top tip for getting a picky eater to eat what you want them to! You can call it modeling or mimicking, but the fact is, peer pressure has proven to be effective over and over in the circumstances I’ve witnessed with a picky eater. 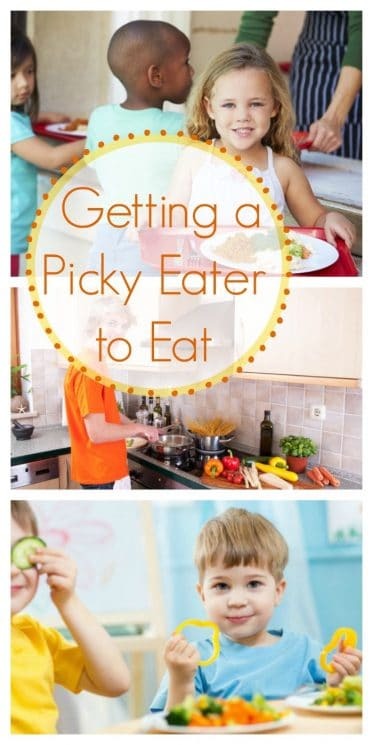 The pickiest eaters won’t even hesitate to eat the same foods as their friends, whether they like the food or not. Seeing their friends, or mentors eating vegetables that your kids would normally not eat, is great motivation for them to try it. The best results I’ve seen here is when it is by their actual peers… by other children. It’s great for your kids to see you eating fruits and vegetables, but the powerful impact of their peers eating them is amazing. “It’s my favorite! It’s sour! 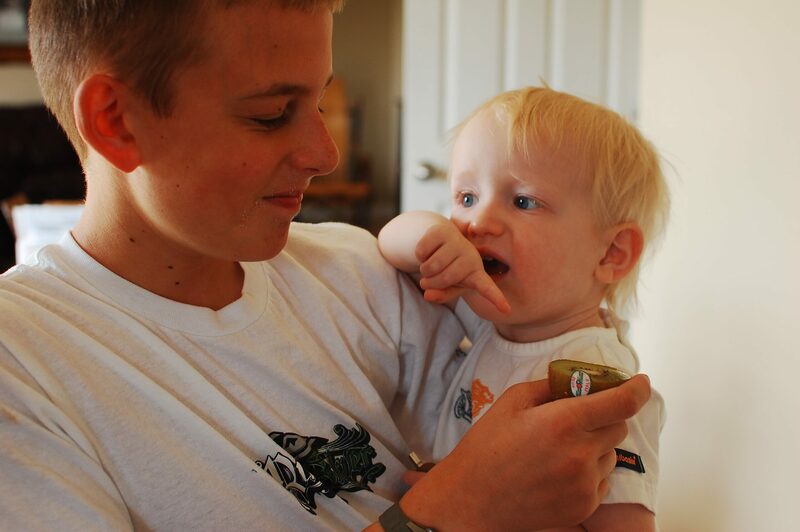 Do you like sour things TJ?” Suddenly for the first time, TJ wanted to try kiwi! So, yesterday we tried it with 2 year old Michael, who LOVES Nathan! Of course he wanted to try it when he saw Nate eating it! I have done this! Knowing a neighbor loved spinach salad, I invited him for a play date and dinner! I of course served, Spinach salad! My son Nate, in not having an interest in this salad in the past, saw his friend eating seconds of his salad, and took some himself. I didn’t even say a word, and he just ate it! Although as kids grow up, their palate naturally expands, and they are wiling to try and taste new foods, but do they choose these foods when they are with their other teenage, influential friends? They can! You behave similarly to the way your closest groups of friends behave (as adults as well as teens). So when my friends daughter had a friend that loved bell peppers and brought them to school in her lunch every day, so her daughter was intrigued enough and liked her friend so much that peppers became one of her favorite foods too! 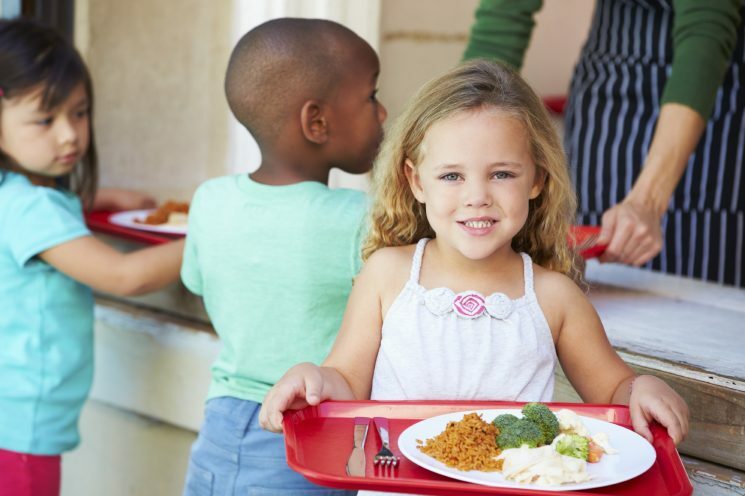 While you can’t choose your teenagers friends the way you can choose their friends in preschool, it might be worth your time to inquire about what they bring in their lunch to help your teenager notice! Unfortunately, many teenagers eat fast food during school lunch, but one highly influential teen can change that and set the tone for their group of friends. So true.. I noticed the same thing a few days ago and did a similar post. It really does work. Also we have a rule at our house ~you are not allowed to make a face, turn up your nose, say it smells funny or make any other negative remark about the food you have been served until you have taken atleast one bite.~ If you don’t like it after one bite then don’t eat it. I find about 80% of the time kids actually like what’s on their plate. In interesting face is that it takes 30 tries of a new food before a child’s taste buds change! So just continuing to give a kid the same food over and over often will change behavior! I wish this was true at my house, they are all too picky and sometimes even their friends are picky, 2 of them don’t drink milk at meals and get very upset with me when I say milk or water instead of pop or pop to them. Their cousins eat really good but none of it rubs off onto my kids. My sister and I always have to pack our own coolers when going on day trips because her kids eat the opposites of what mine do. How strange. I love your fruit bowl from yesterday it’s gorgeous, almost to pretty to eat but also so yummy I’d have to eat it. I have to say with picky or non picky eaters you like what you like. I know I do. Luckily I like healthier things but there are some things I will NOT eat it kind of makes us who we are but there is not harm in trying new things. I agree with you. My daughter ate a mango today because of pressure from me and her brother and she even said she liked it when minutes before she was saying she didn’t. And thanks for the kiwi recipe! I’ve got kiwis in my fridge I need to use up so this will be perfect! Once again LOVE your blog. Thank you! This is so true! My son has become a MUCH better eater since he started preschool and sees other kids his age eating different things. Thank goodness for peer pressure when it comes to getting a picky eater to eat! We do the same as Annette, no negative comments when you haven’t even tried it yet. My son might take a bite of something new and then say, “It’s not too bad” but then still not want anymore. But you are right about it helping to see their peers eating things. I am not a big fan of my kids buying the lunch at schooo, but doing this once in a while has opened them up to trying some new things. I only wish I knew some kids that liked broccoli (aside from my 3 year old who is so far not convincing her older brothers). Thanks for sharing an awesome information .